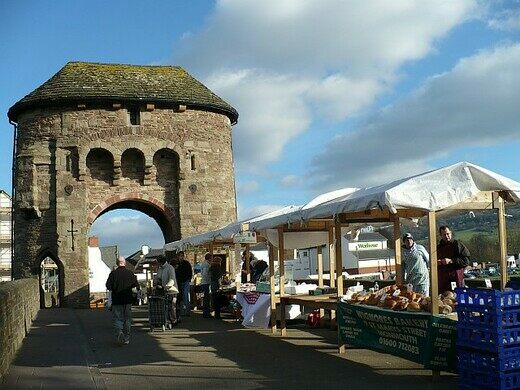 This unusual bridge over the River Monnow was built around 1270 as part of the defenses for the town of Monmouth, which was an important locale on the border of England and Wales. 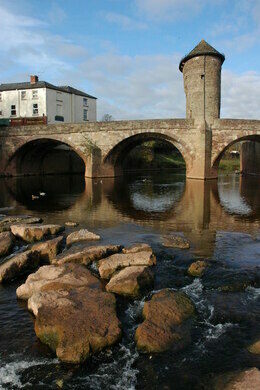 The bridge replaced a wooden bridge built in the 11th century by the Normans. Such bridges with defensive gate towers were once common in Europe, but the pressures of traffic demands on bridges and the reducing needs for defense has brought about the demolition of many. There are only three left in Europe and this is the only one of its kind remaining in Great Britain. 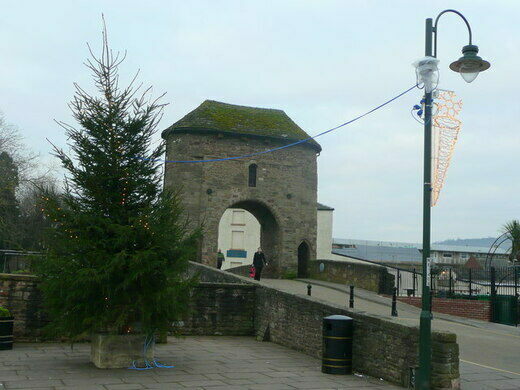 Over the years the tower has been used as a fortification, a gaol, and a toll house. 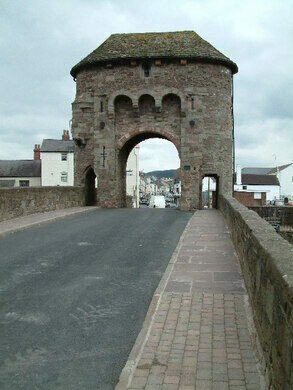 The bridge is now a scheduled ancient monument, no longer used for traffic. It is used on the 4th Saturday of each month for a local farmer’s market.